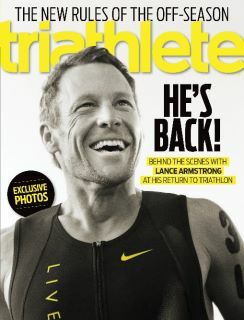 An idea hatched in my head when I first read an article about Lance and his return to triathlon. The article was the usual 'will he dominate everyone / will he even be able to run' kind of thing, but what caught my eye was tucked away right at the bottom of the pace: LiveSTRONG had secured a small number of places at each event that Lance was racing at, and they were being offered to people who would pledge to raise money for LiveSTRONG. The thought floated around my mind like a bubble. Race alongside Lance ... raise a bunch of money for cancer research ... get to meet the man himself ... well, I knew I had to go for it. We're a few weeks away from the anniversary of my father-in-law's death, and I wanted to do something to celebrate his life and memory. He had a difficult time of it over the last year. We all did, truth be told. Cancer's hard on everyone in the family. There's a lot of cancelled plans, frantic runs to the hospital, soul crushing sunday afternoons spent in grey hospital wards with other families trying to put a brave face on it. They need you there, and you wouldn't be anywhere else, and you want to be there for them. But you'd also simultaneously rather be anywhere else. I raced Ironman UK back in 2009, when Malc was in remission - grabbed a bunch of generous-sprited tri-buddies, trainined our arses off for 10 weeks, and between us we raised nearly £10,000 for the Pelican Cancer Foundation. The story's on another part of this website. So this one's different. 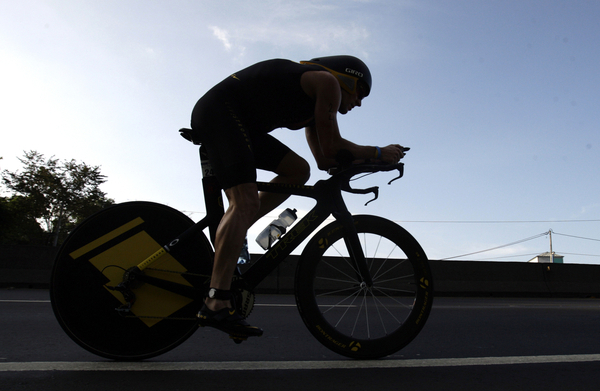 LiveSTRONG grew rapidly on the back of Lance's fame. Yellow wrist bands were everywhere, even on the kids at school who didn't know what they were for. 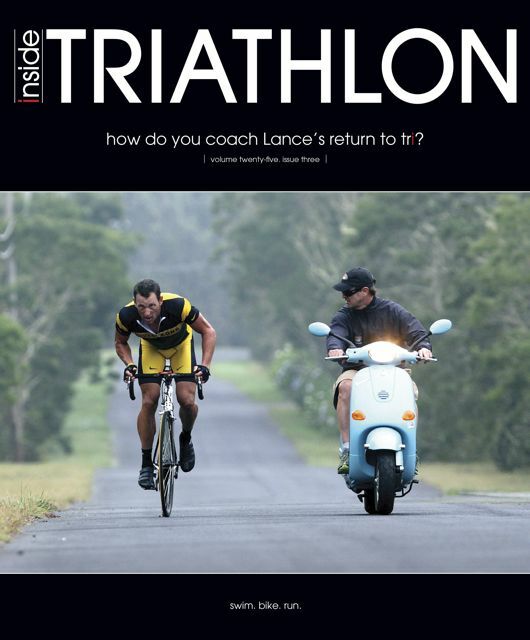 I'm seriously impressed with with the way that Lance has chosen to leverage his celebrity and standing. It's something I want to be associated with. It's a team I'm proud to be part of, and it's a charity I'm proud to be raising money for. I chatted things through with my wife, and she's 100% supportive of doing this to honour Malc's memory. Our focus is on our family, and time for training is limited. (Actually, that's a positive spin on the fact that time for training is non-existent!) But I can ride my bike to work a couple of times a week, and when it gets light enough after easter, I'll run home one day a week. It'll have to be enough. I'm under no illusions - I'm not going to be in Kona-qualifying shape. I'm not going to be in PB shape. But I'm damn sure I'm going to be in crossing-the-finish-line shape. It's not about the clock.